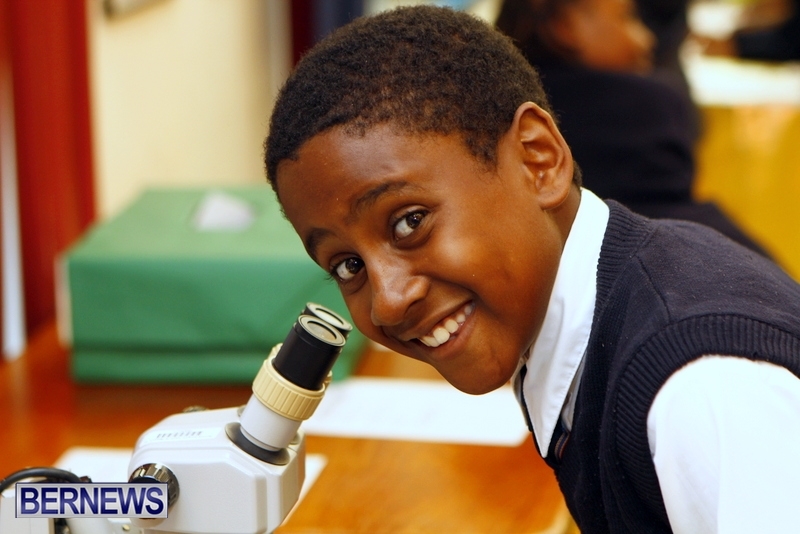 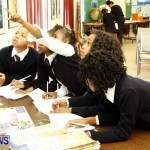 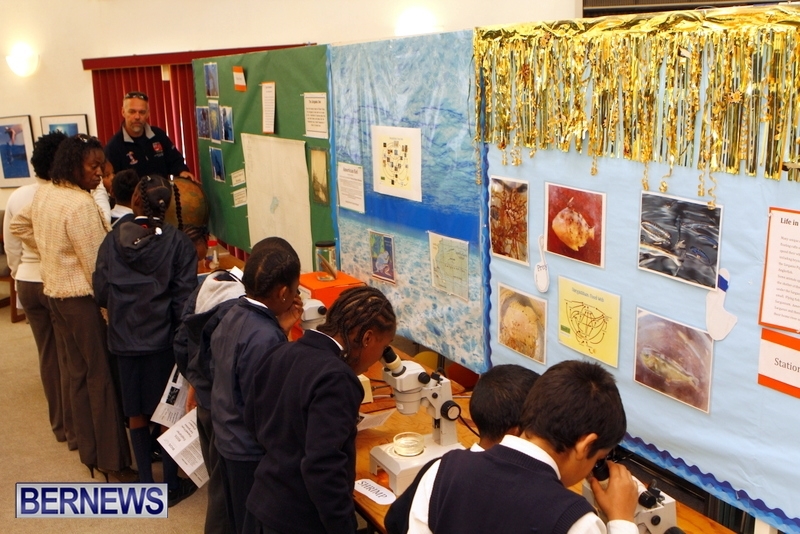 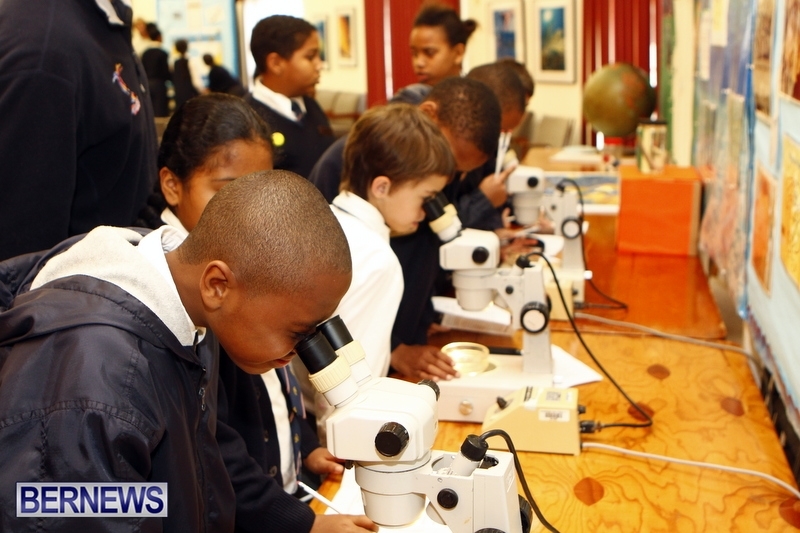 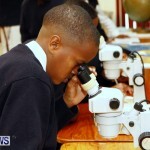 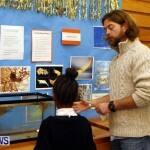 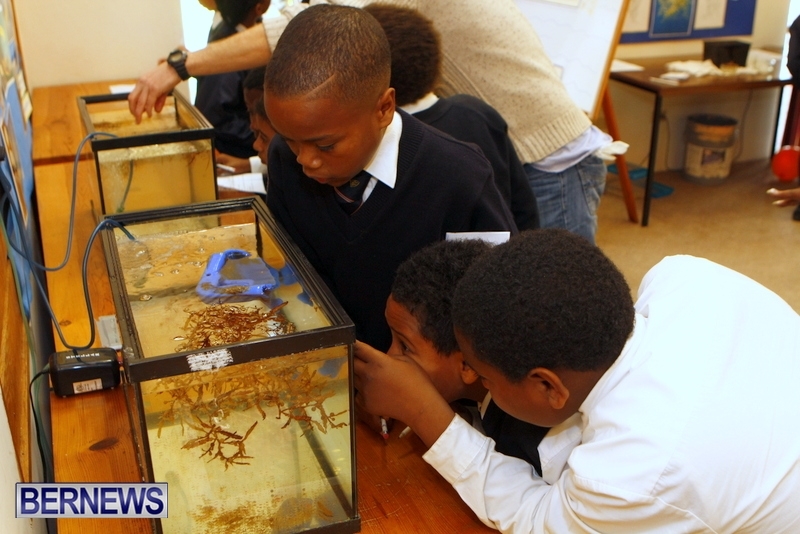 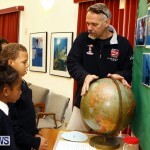 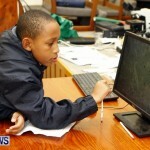 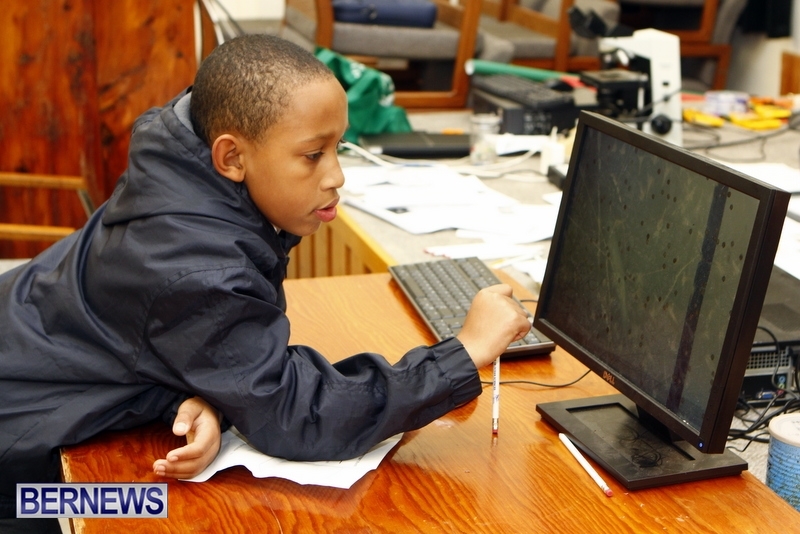 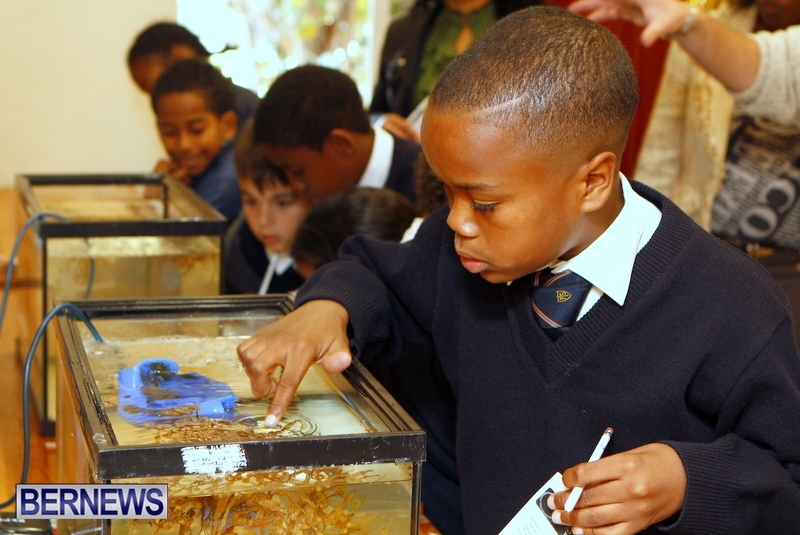 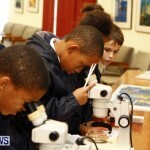 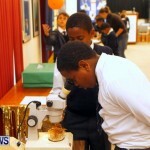 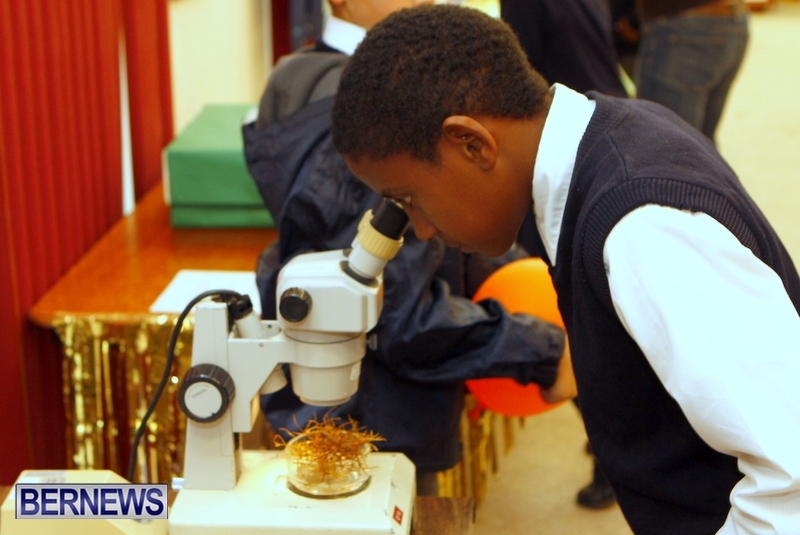 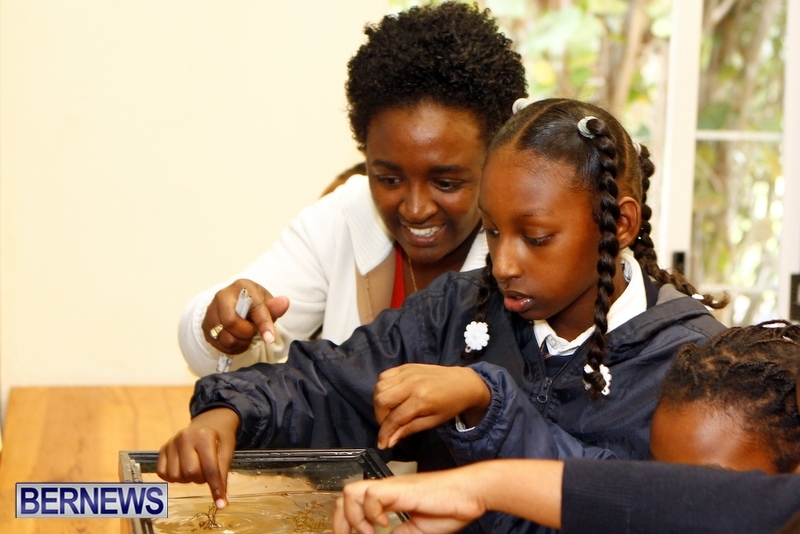 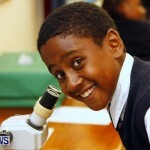 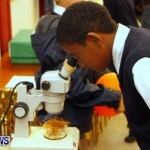 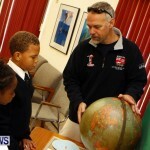 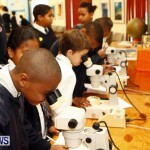 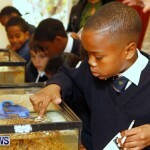 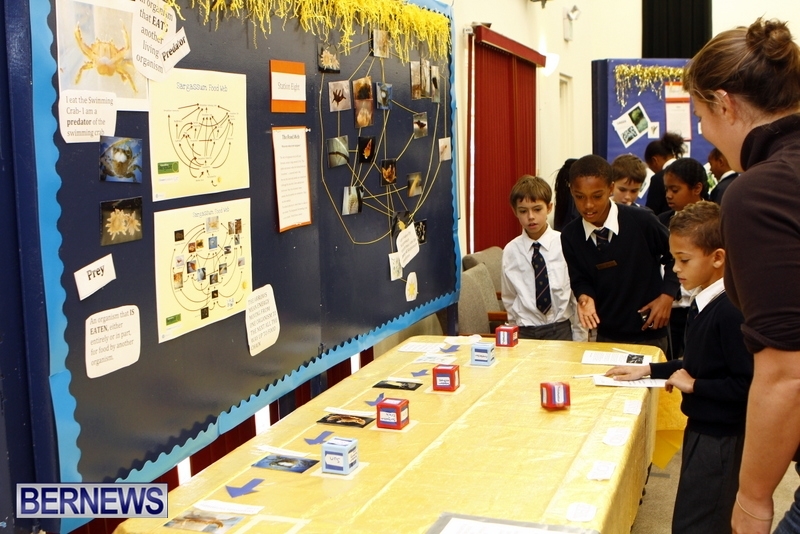 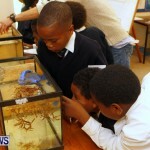 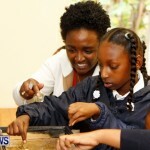 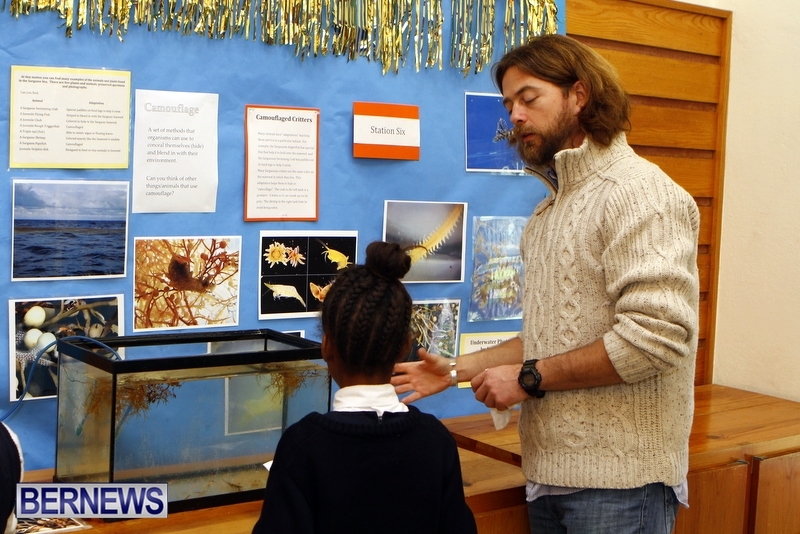 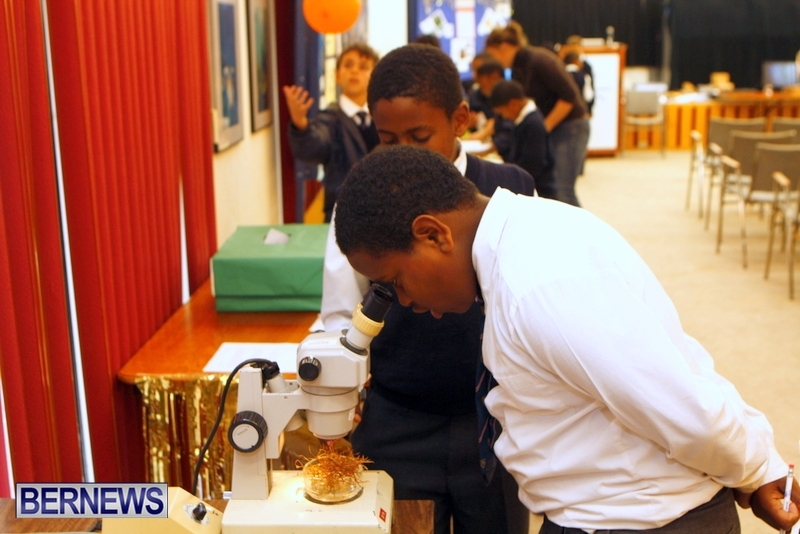 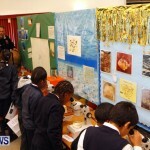 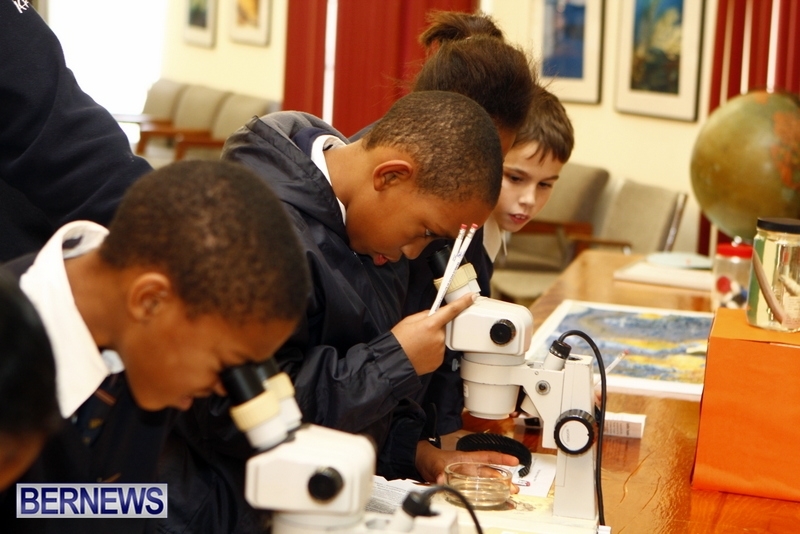 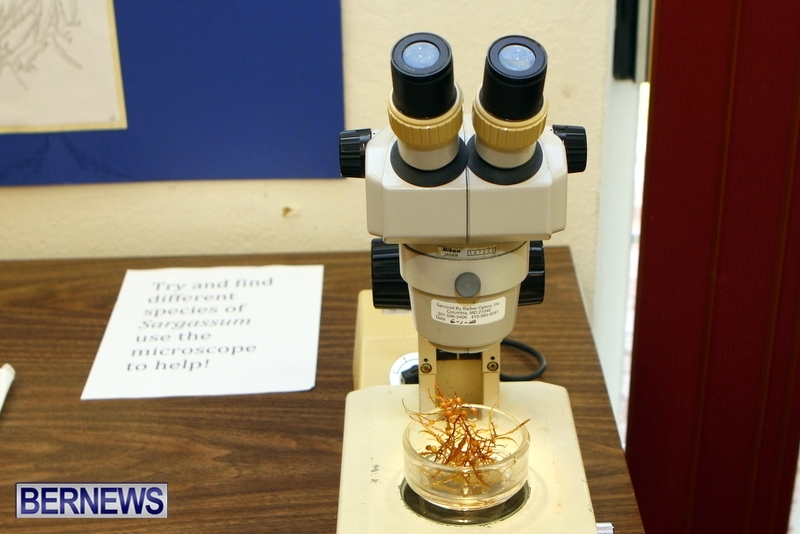 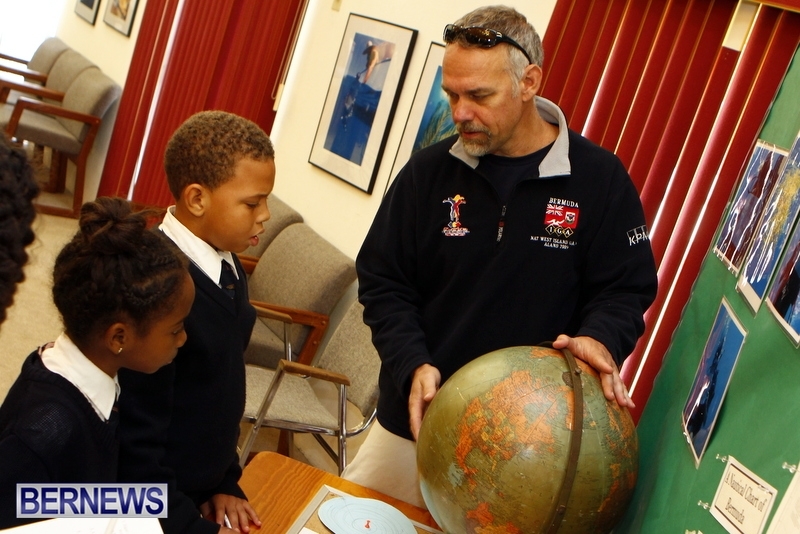 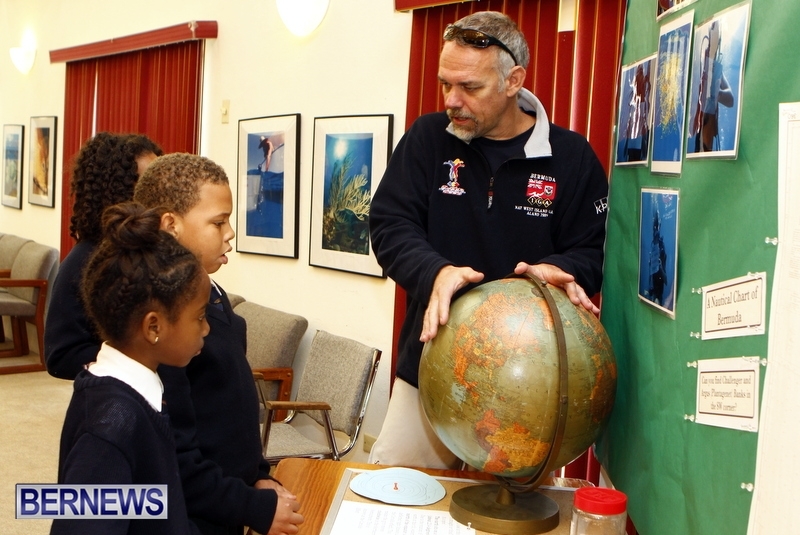 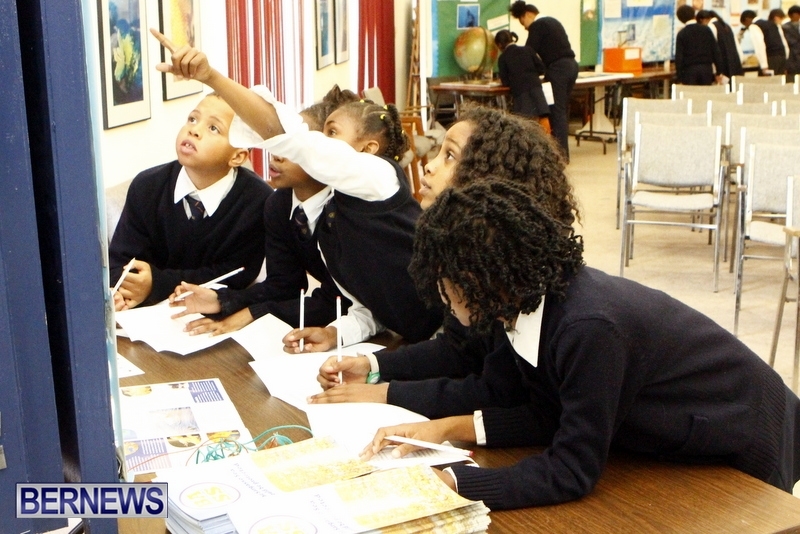 Local students from schools all across the island will visit the Bermuda Institute of Ocean Sciences [BIOS] over a two week period to participate in the BIOS Explorer Program which provides teachers and students with hands-on experience in marine science. 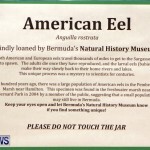 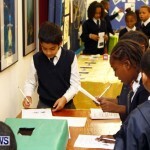 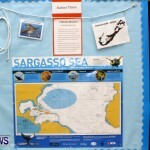 Each year a new theme is chosen to highlight a current topic, and field trips, lesson plans, and activities are created around this theme. 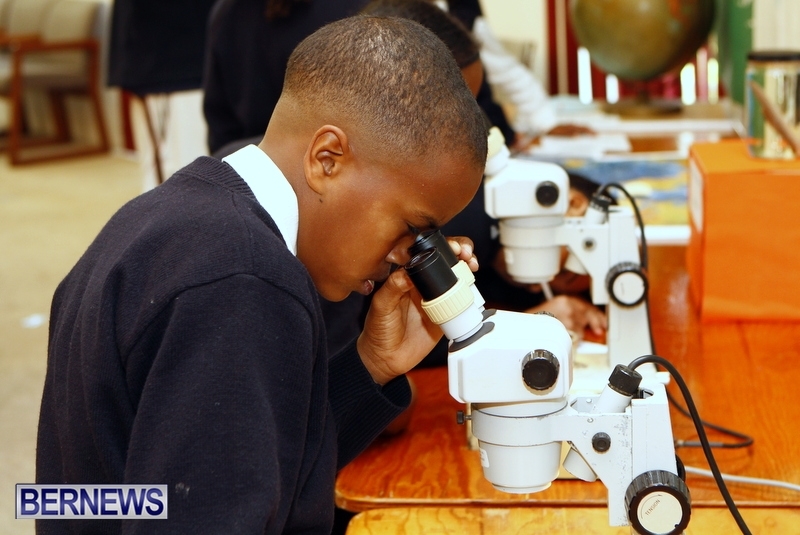 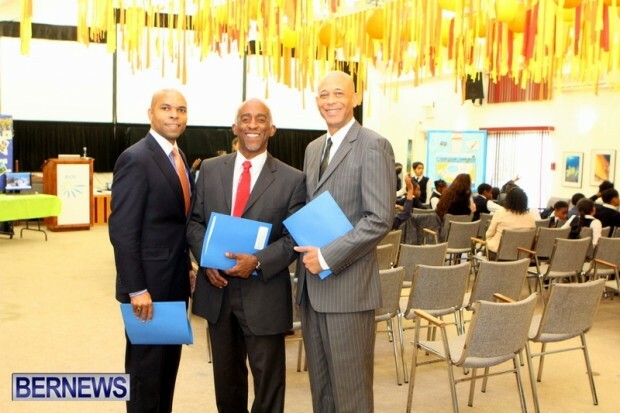 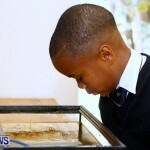 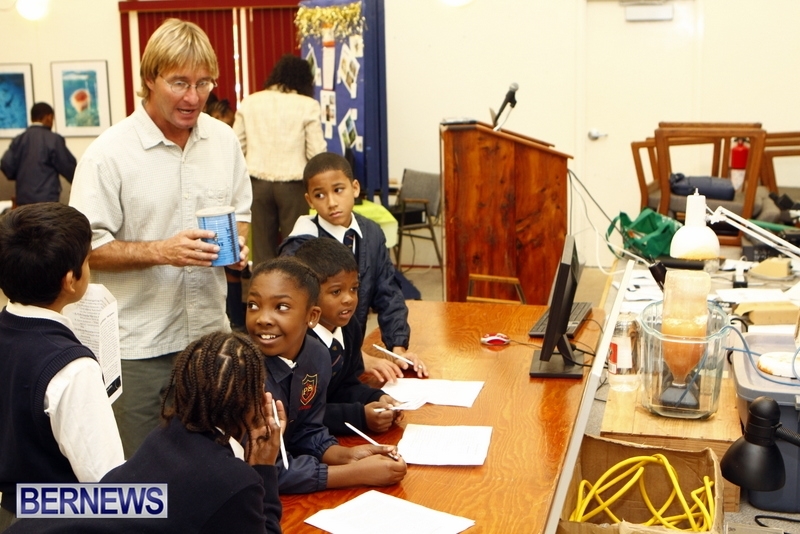 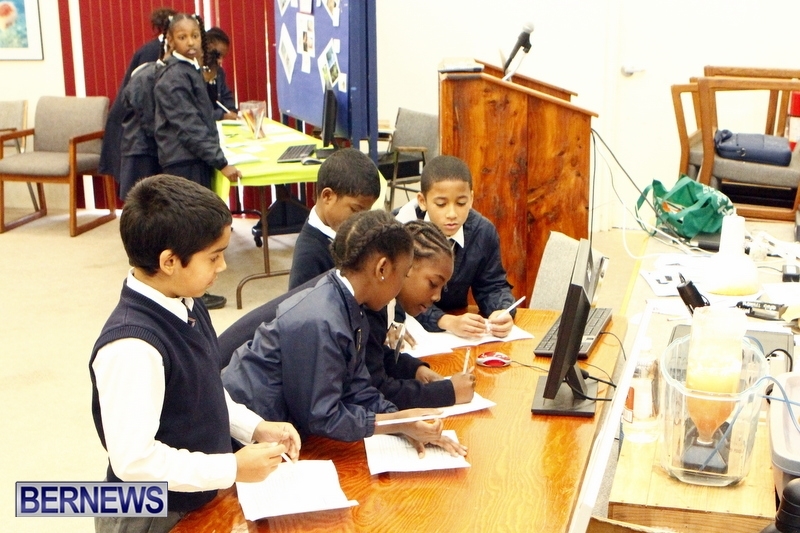 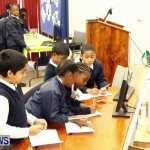 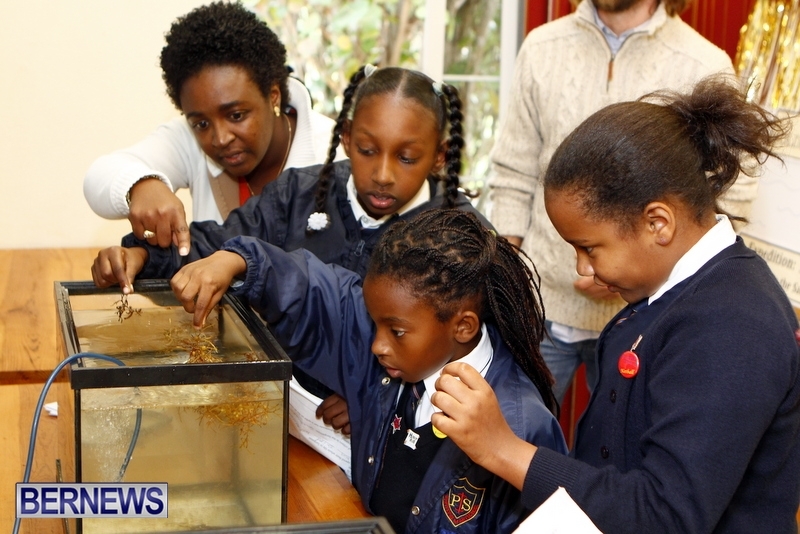 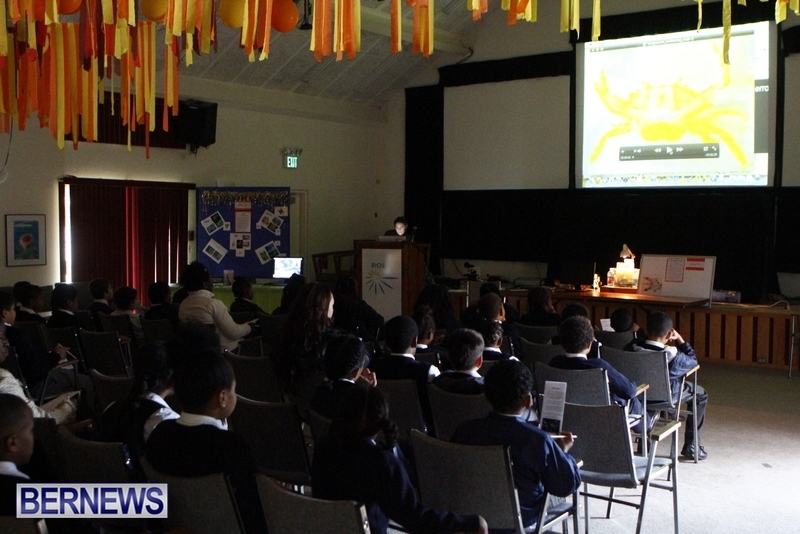 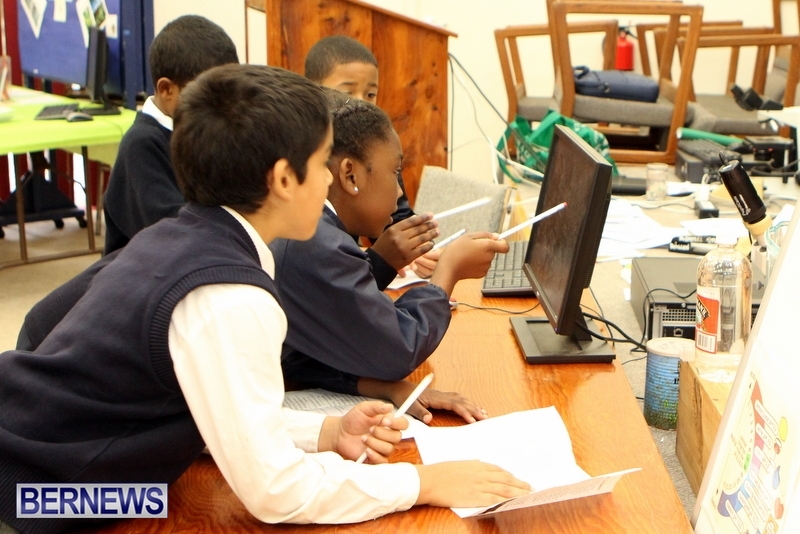 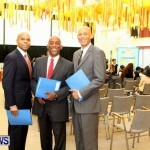 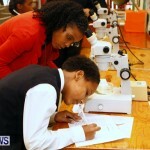 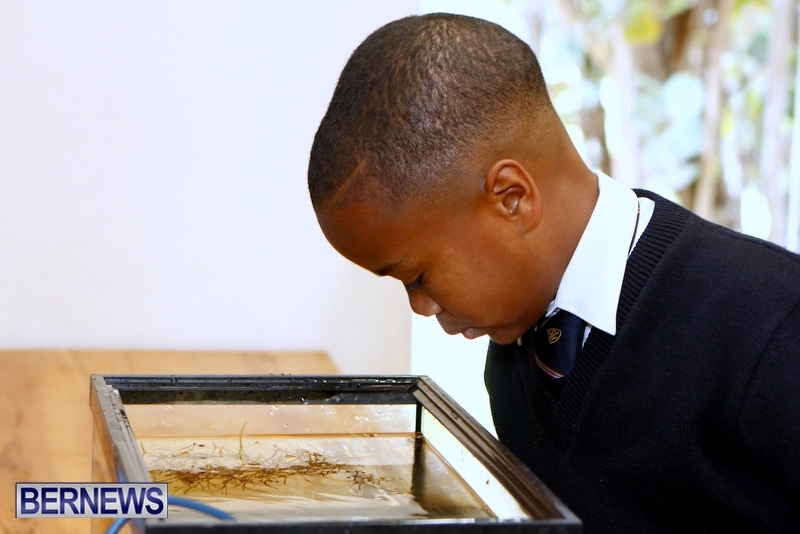 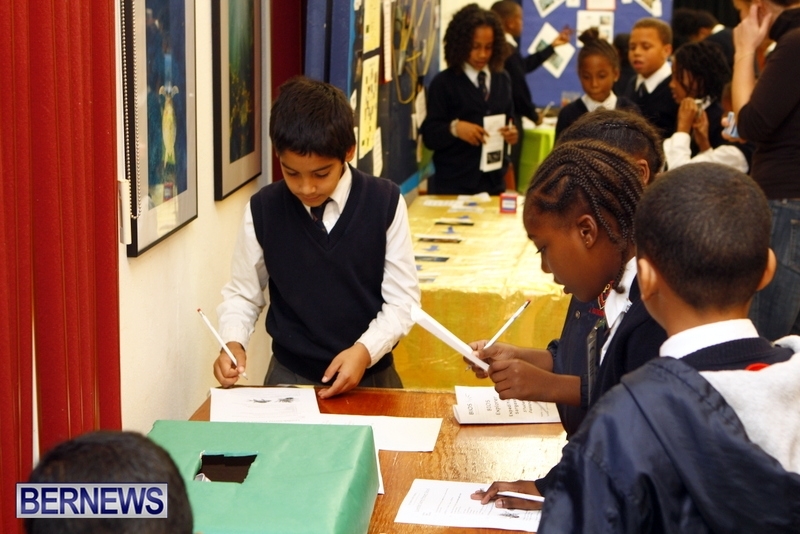 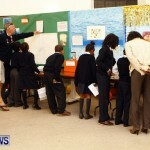 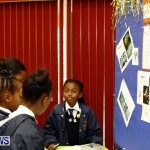 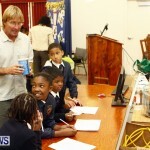 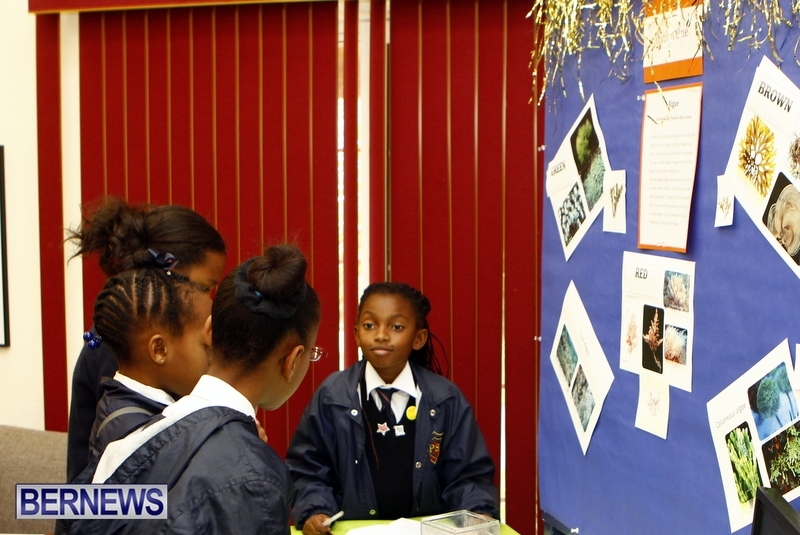 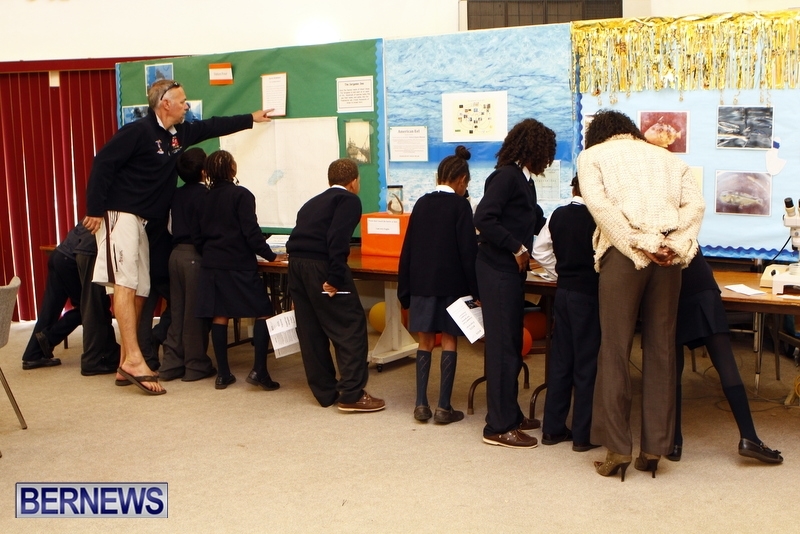 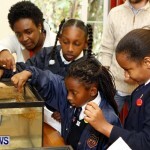 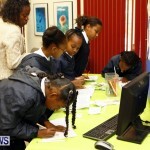 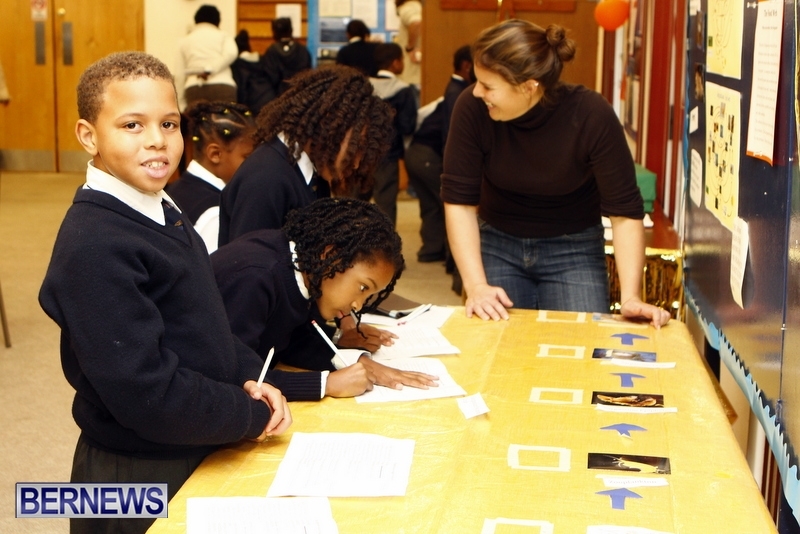 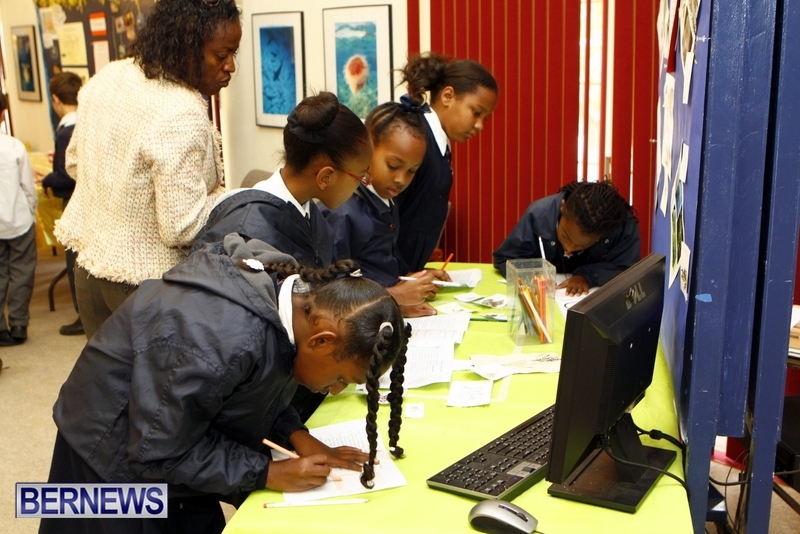 When Bernews visited the Institute, students from Purvis Primary School were present as were Minister of Education Nalton Brangman, Minister of Tourism & Transport Shawn Crockwell and Minister of Environment & Planning Sylvan Richards. 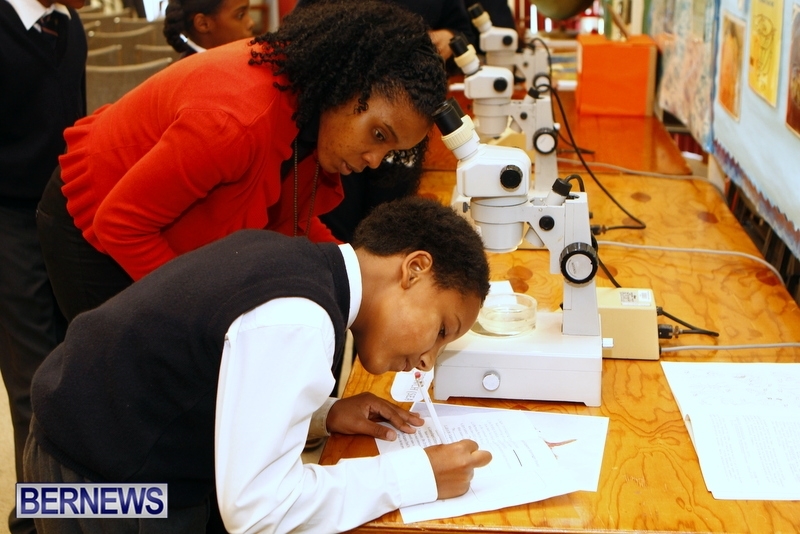 The Government Ministers were on a tour of BIOS, and meeting with staff and scientists when the students stopped by the program. 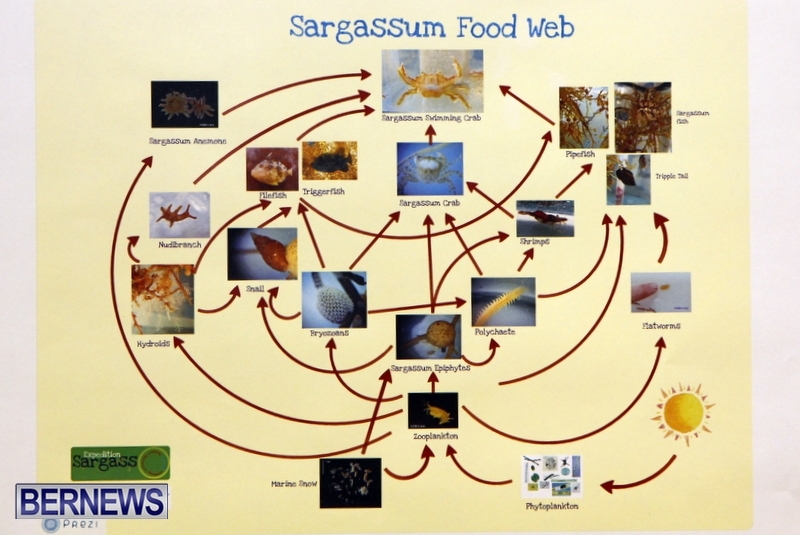 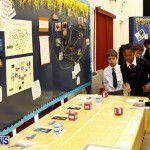 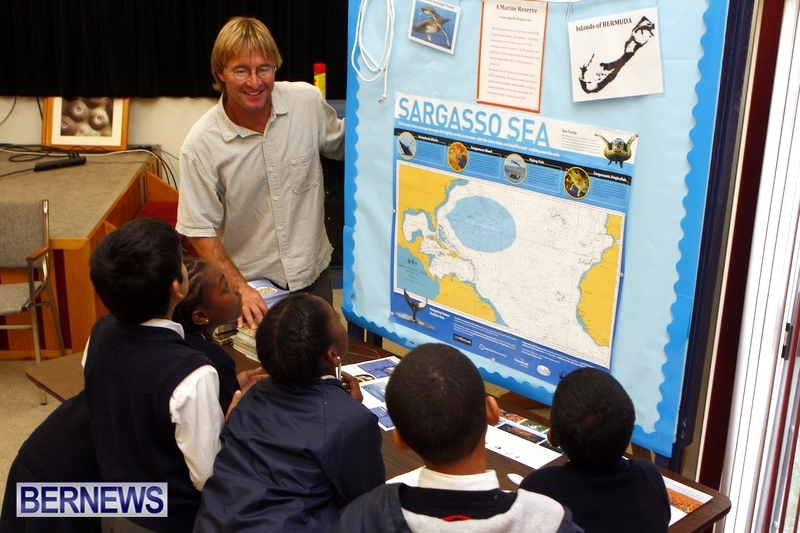 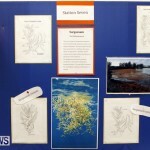 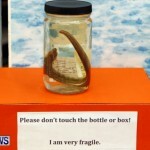 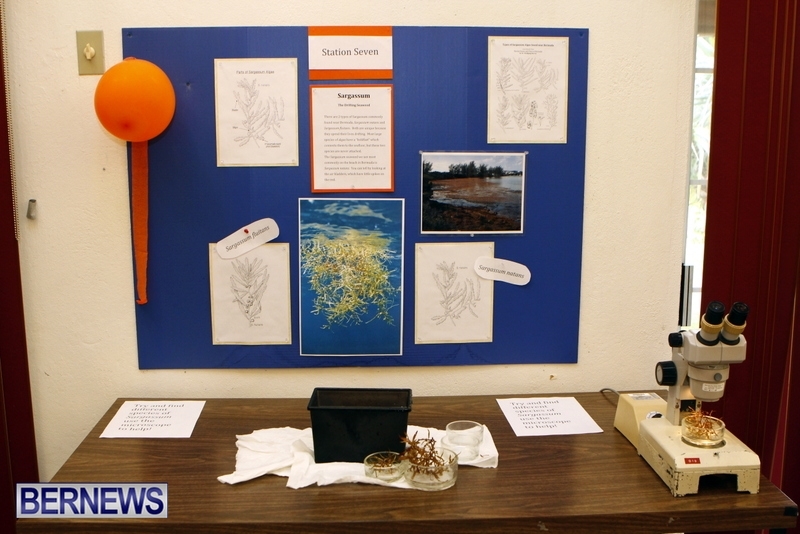 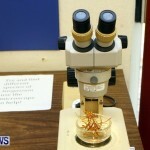 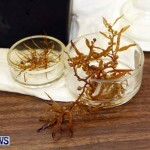 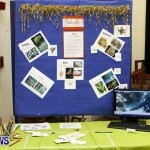 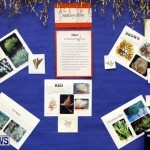 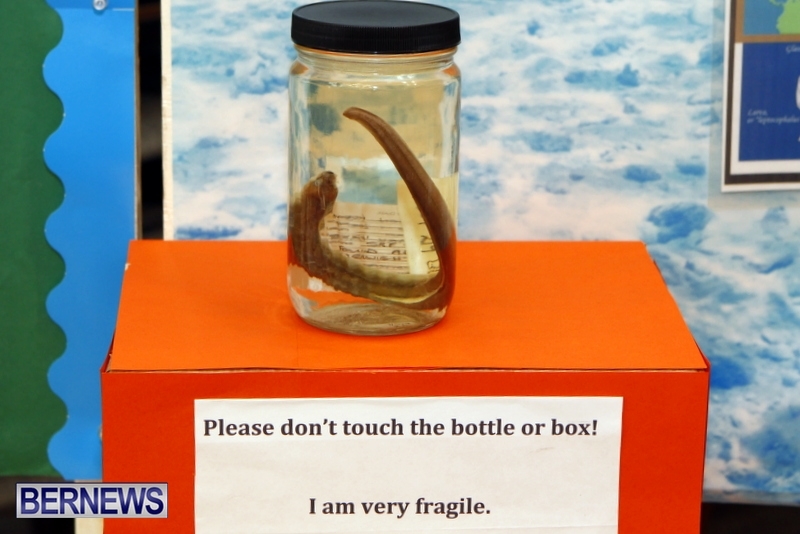 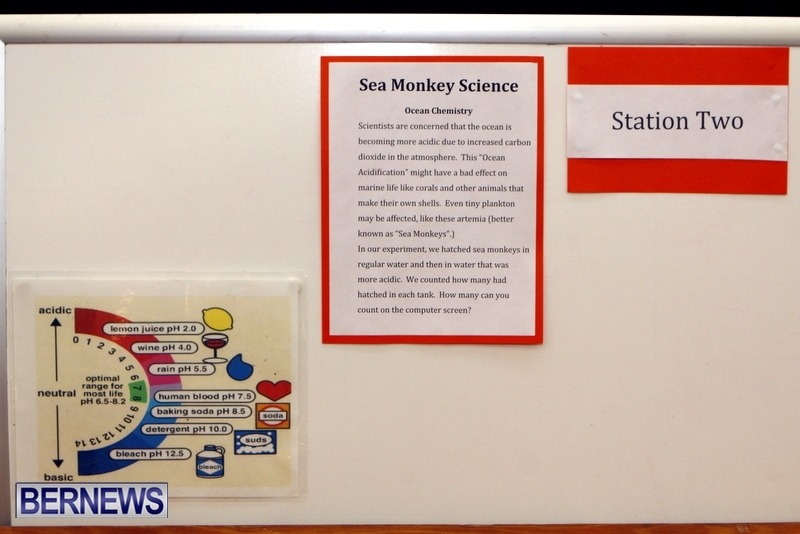 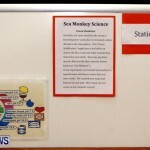 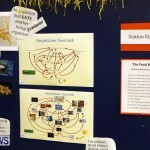 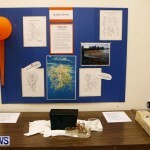 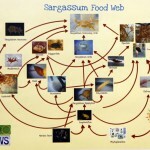 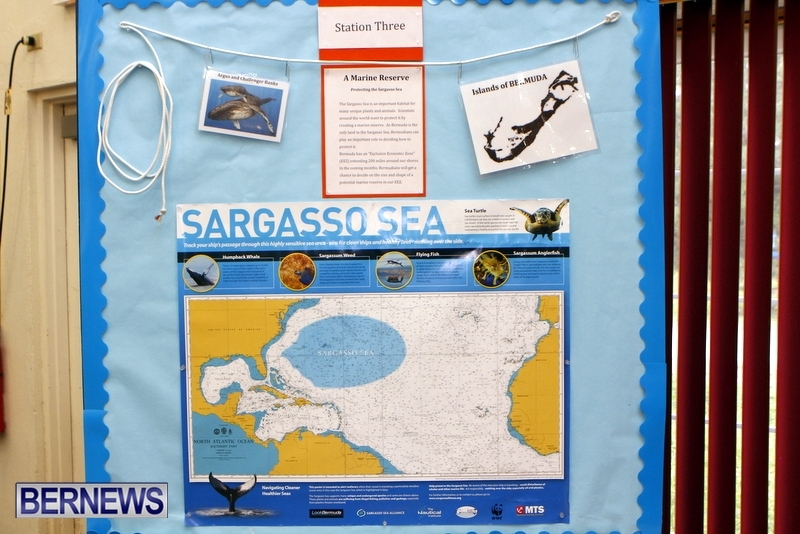 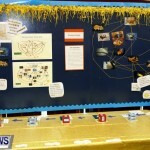 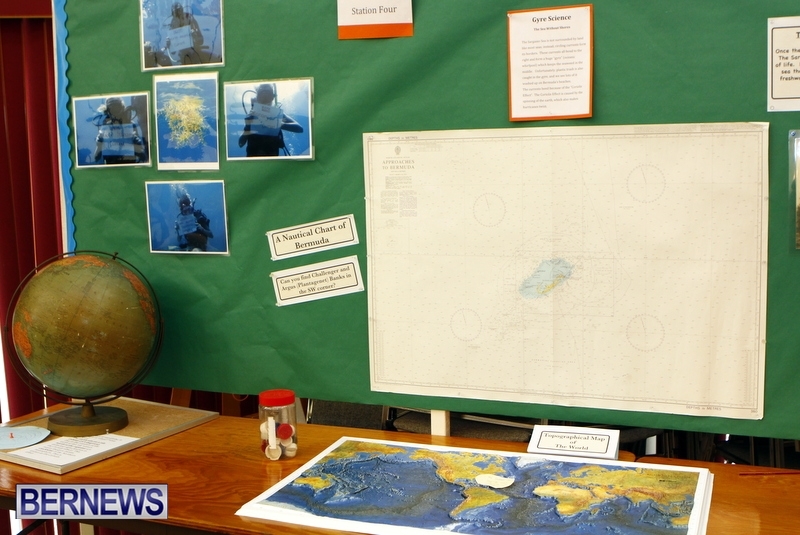 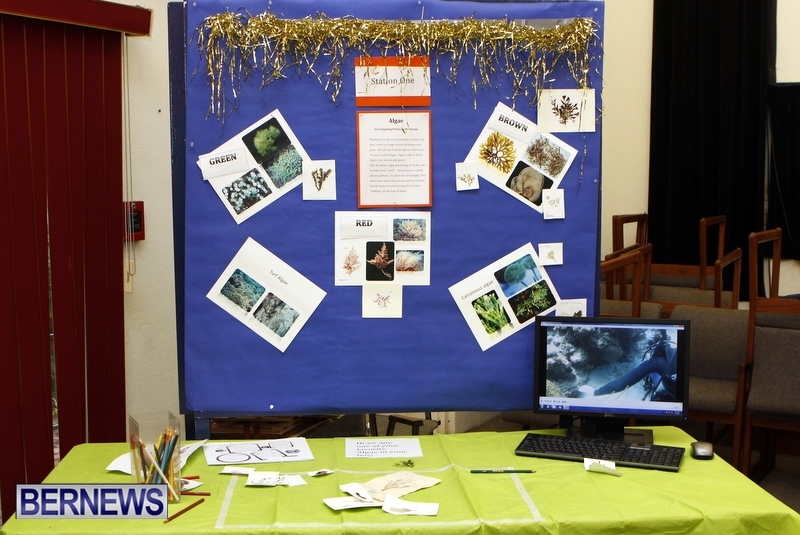 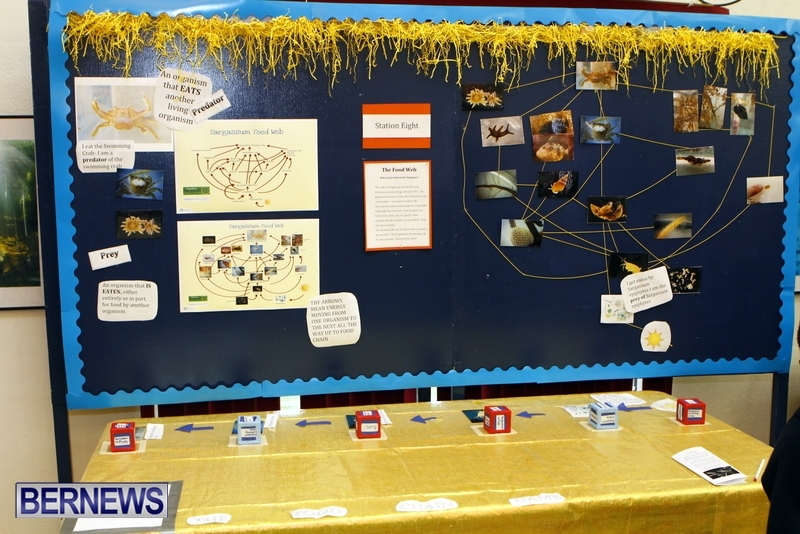 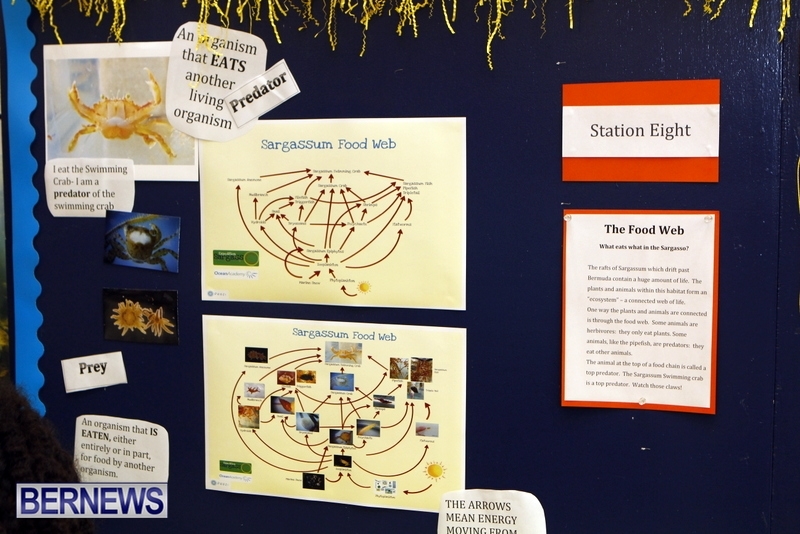 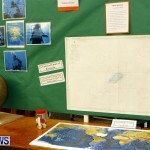 A BIOS spokesperson said, “Our topic for the 2012 / 2013 school year focuses on the “Sea Without Shores” – the Sargasso Sea titled Expedition: Sargasso. 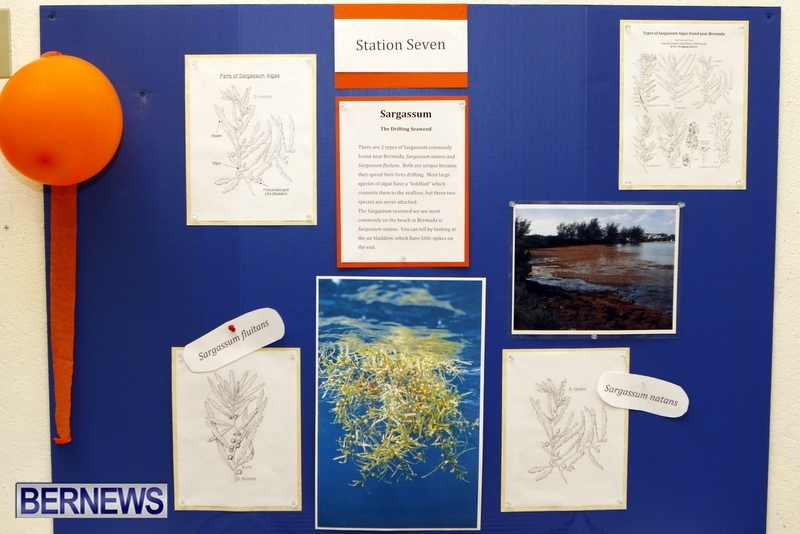 The Sargasso Sea is found in the North Atlantic and is bordered by currents rather than land-masses. 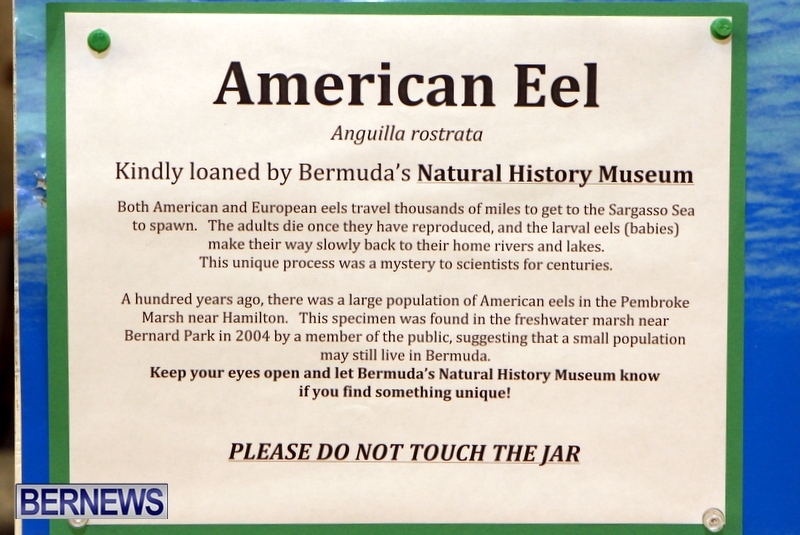 “These currents rotate slowly in a clockwise direction forming a “Gyre” or huge, oceanic whirlpool. 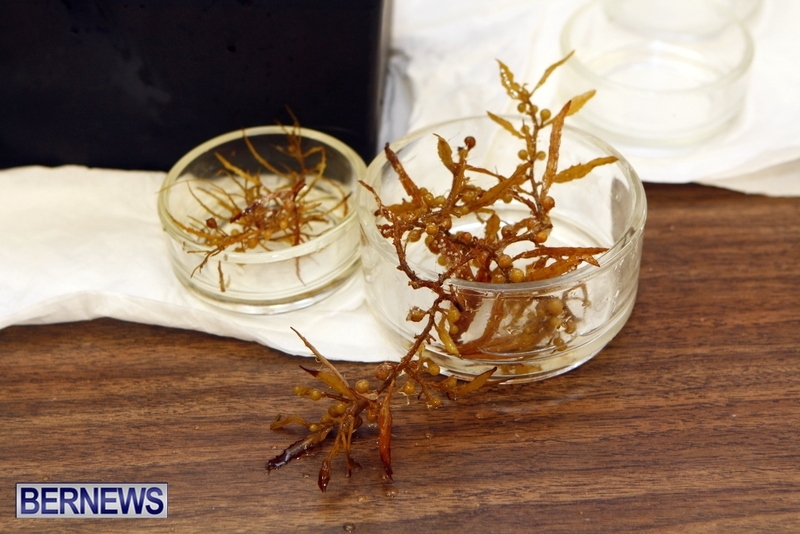 Within this gyre drift floating mats of Sargassum algae, which provide habitat for a huge range of amazing sea creatures. 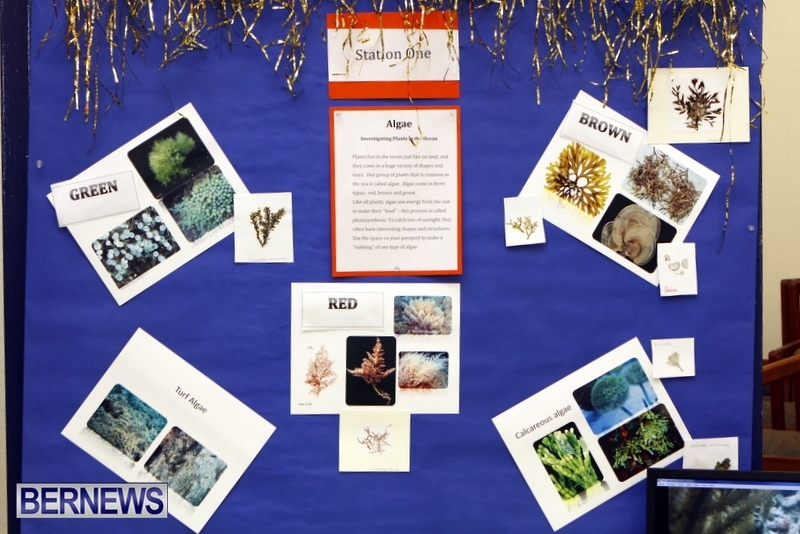 So diverse and important is this sea and its marine ecosystem, that scientists around the world are hoping to create a high seas marine reserve to protect it.